16th She Paid Through the Nose! 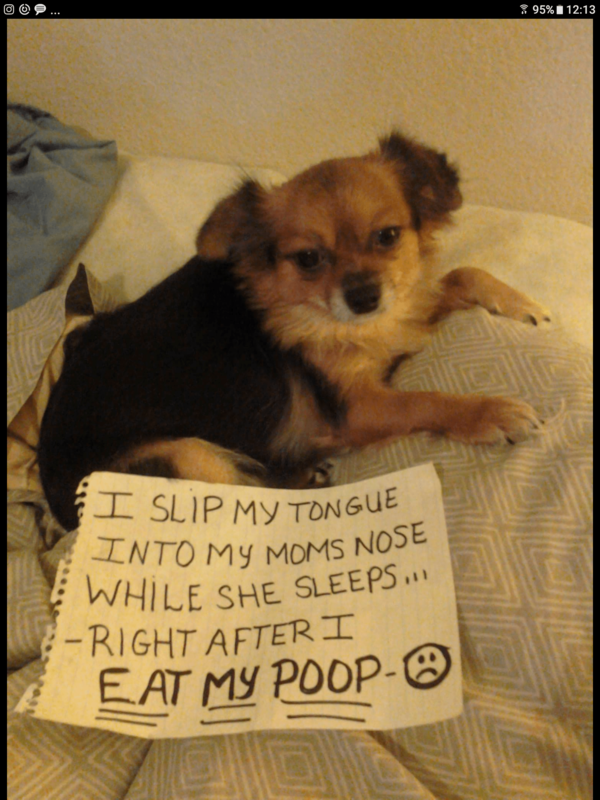 My dog Poochie will eat her poop while I’m asleep. She then jumps on the bed and sticks her tongue in my nose. It’s Disgusting!!! She Paid Through the Nose!